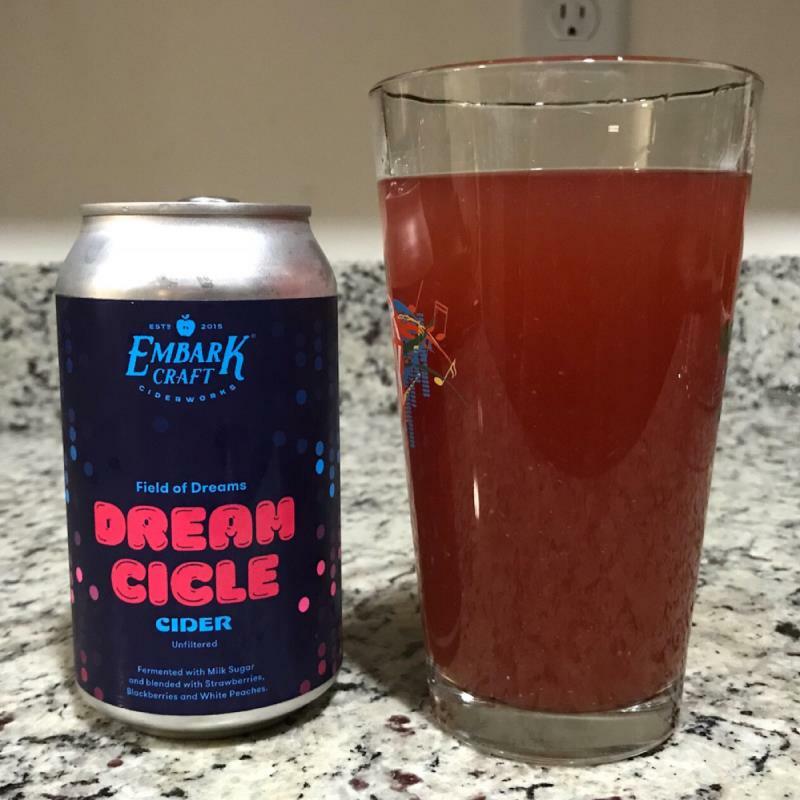 Cider with strawberry, blackberry and peach. Semi-sweet, plus somewhat tart. Slightly hazy pinkish pour with a lot of carbonation. Tart berry aroma. Taste follows the nose with a tart and lightly puckering berry flavor (can really distinguish between the strawberries and blackberries). Peach flavor stands out fairly well. Moderately acidic.